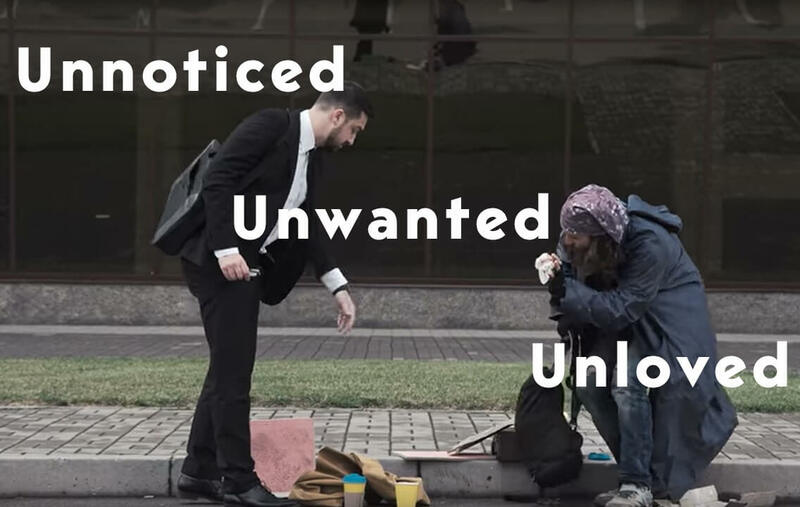 All it takes is 1 act of kindness within a 2-mile radius. 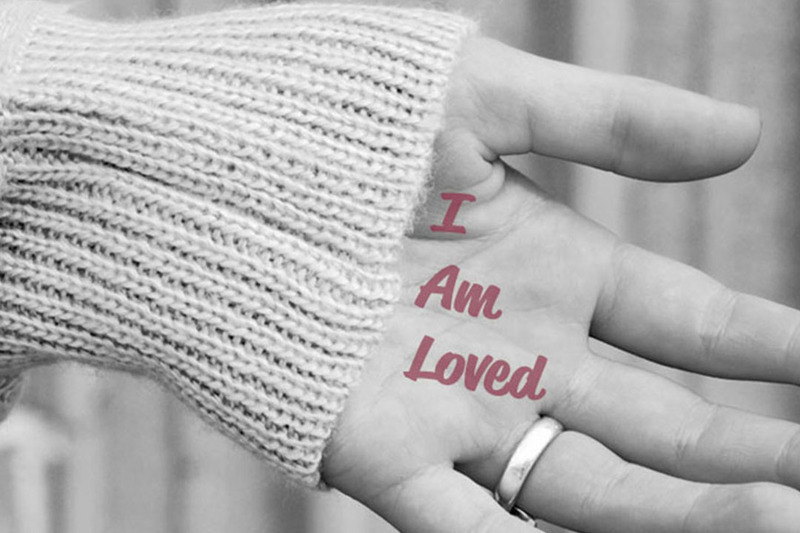 We dare you to be kind! Dare to do your part. 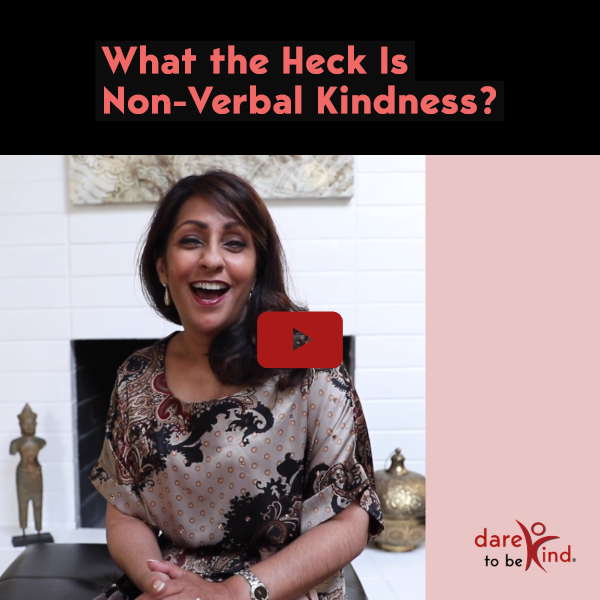 Gabriella van Rij [pronounced “ray”] articulated what would become the Dare To Be Kind - A Global Movement in 2010, while writing her first book With All My Might. 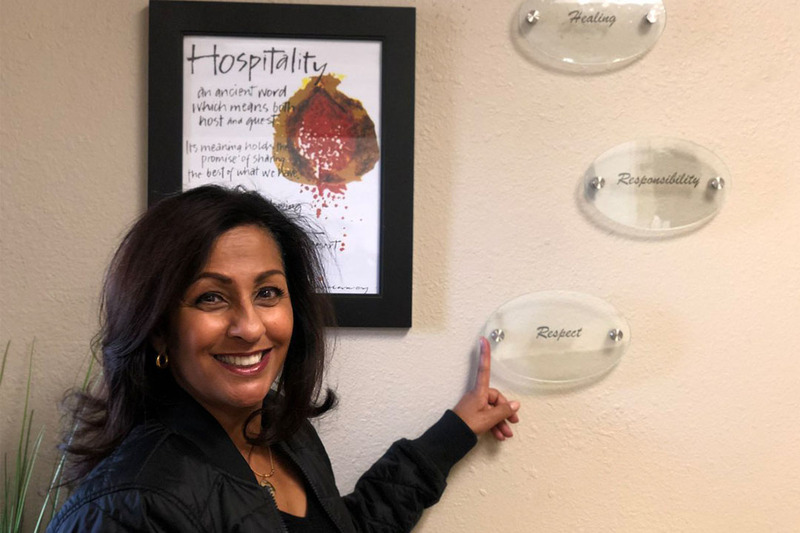 She expanded on the concept during her travels and speaking engagements in 2012 with the Dare To Be Kind campaign, which gathered momentum and is now a full-fledged Kindness movement, with Kindness instigators across the globe and an online platform sharing how to be kind. 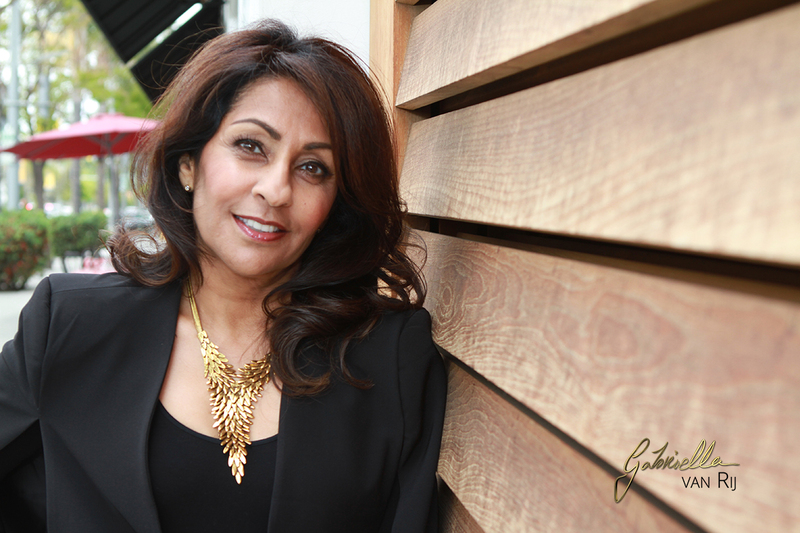 Visit here for more about Gabriella van Rij and her story. 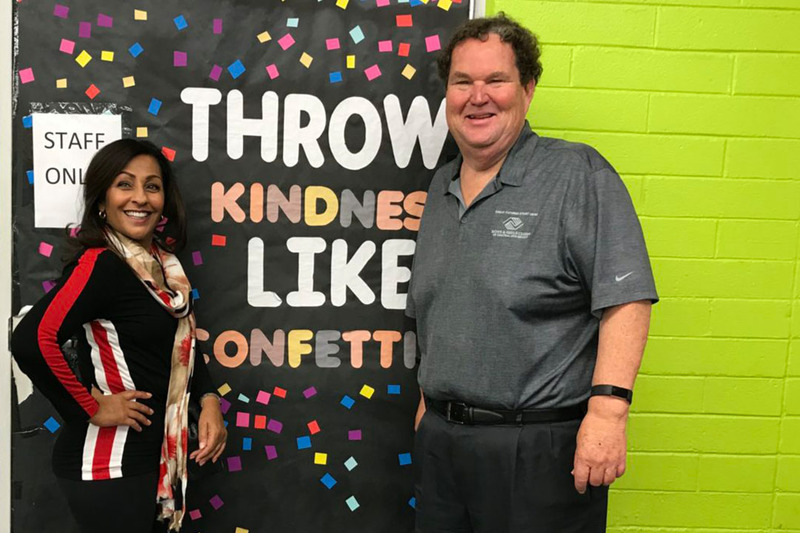 Talking, shaking hands, and bringing the #Kindness movement everywhere! 🎙🤝 ✨Gabriella #D2BK founder in ACTION! 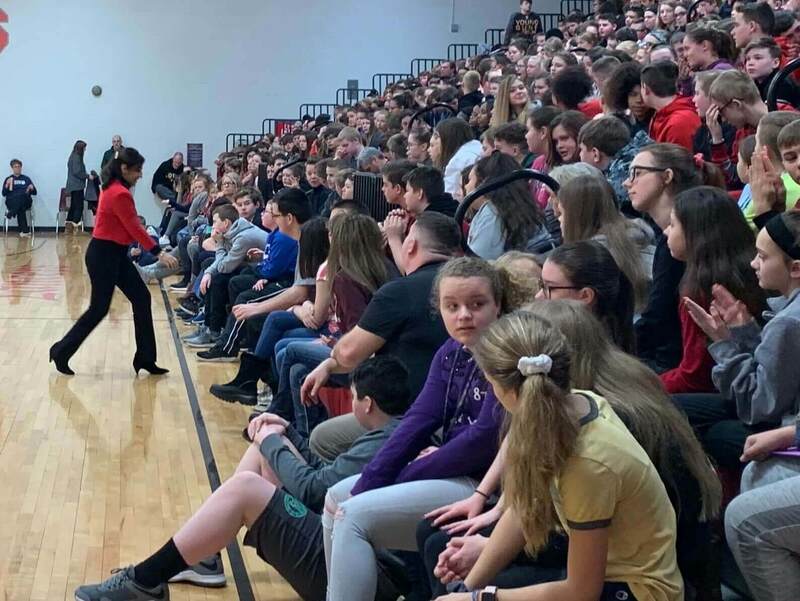 North Scott Junior High also had a sign language interpreter for her talk! 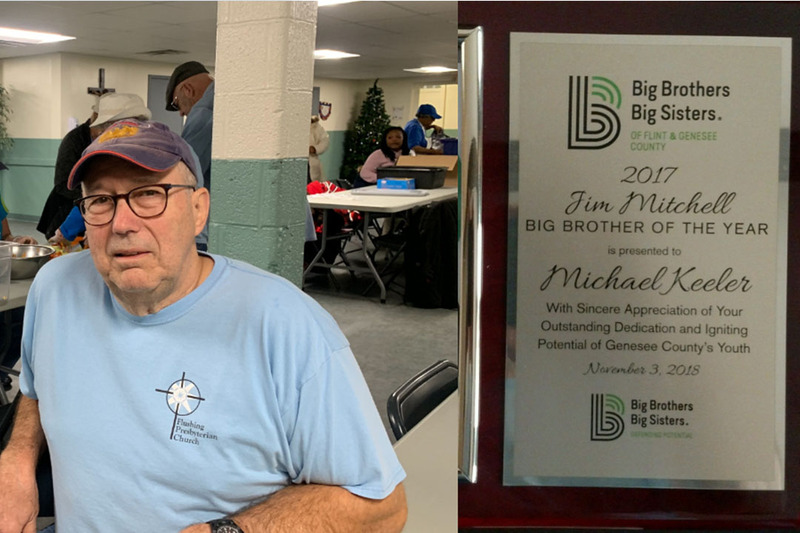 Michael Keeler volunteers with Big Brothers Big Sisters of Flint & Genesee County and was honored with the 2017 Big Brother of the Year award. 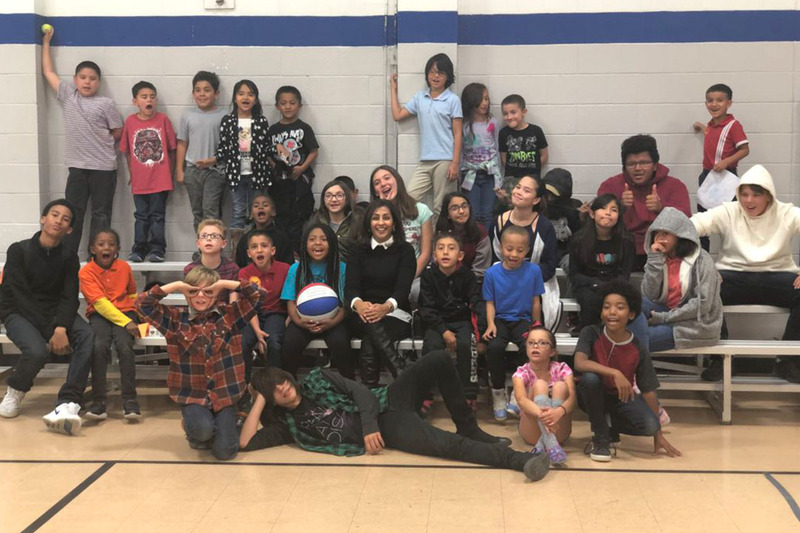 On December 11, 2018, Gabriella van Rij, founder of the Dare To Be Kind movement, sat down and asked him about what prompted him to start volunteering with Big Brothers. Update from Gabriella: Catholic Charities (Soup Kitchen) serves 2 meals a day every day... WOW! Giving and volunteering are at the center of life in Flint, Michigan... They "dare" to be Kind every day! 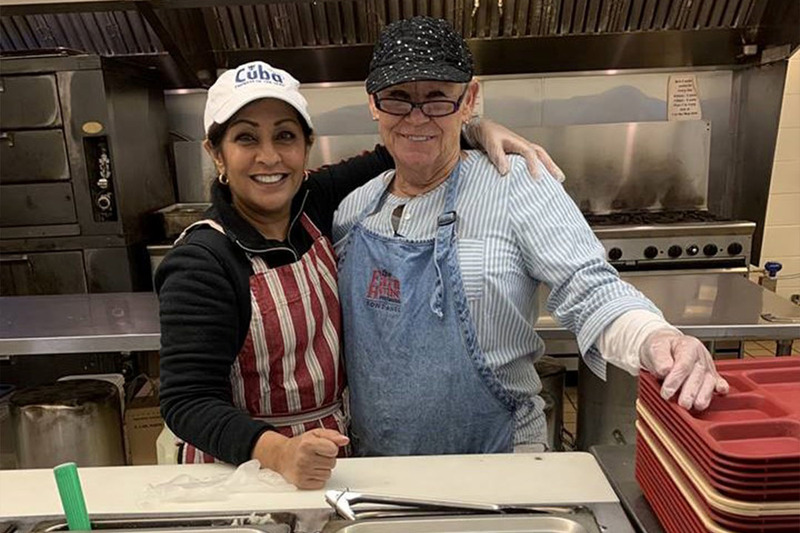 Here I am at their Soup Kitchen with the wonderful active volunteer in her community, Alison Kisch Dedrick. 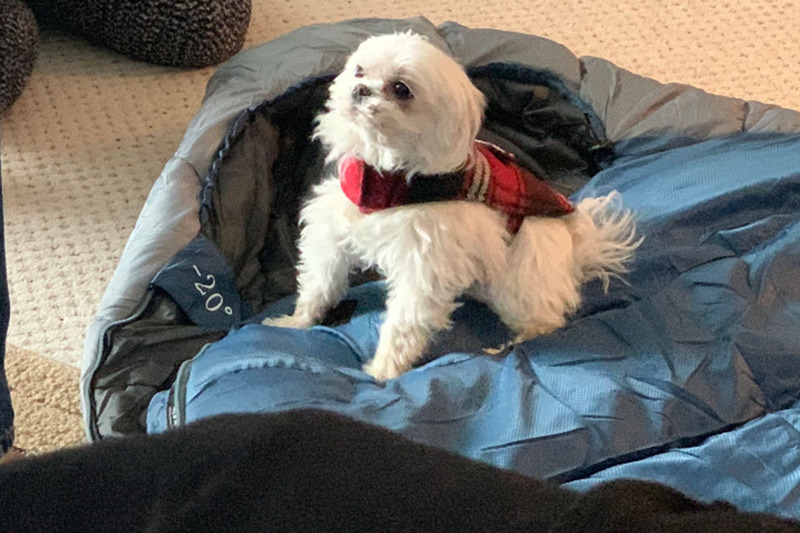 Bella: Mom... this is a warm bed! Gabriella: How about leaving it for me? 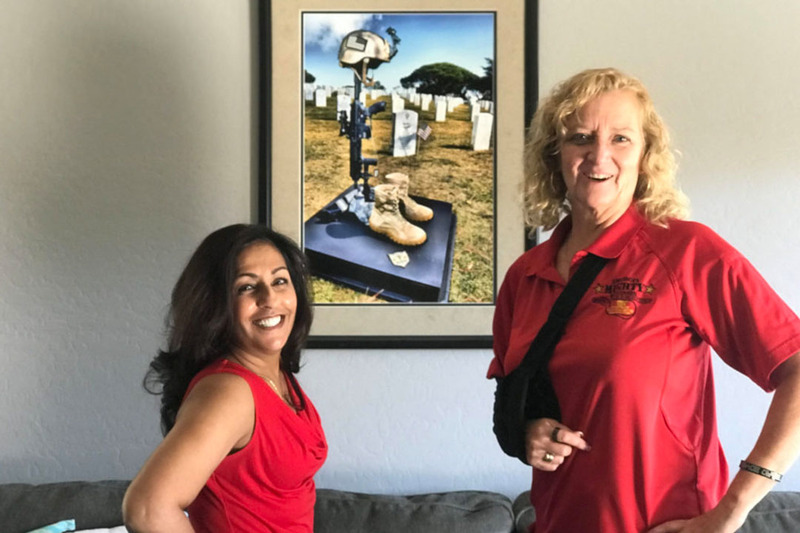 On November 2, Gabriella met with Debbie Lee who founded americasmightywarriors.org in honor of her veteran son. Here, in her own words, is the story of her son's last letter home and how it changed everything for so many... In the beautiful words of Marc A. Lee (KIA Aug 2, 2006), "Pass on the kindness, the love, the precious gift of human life." 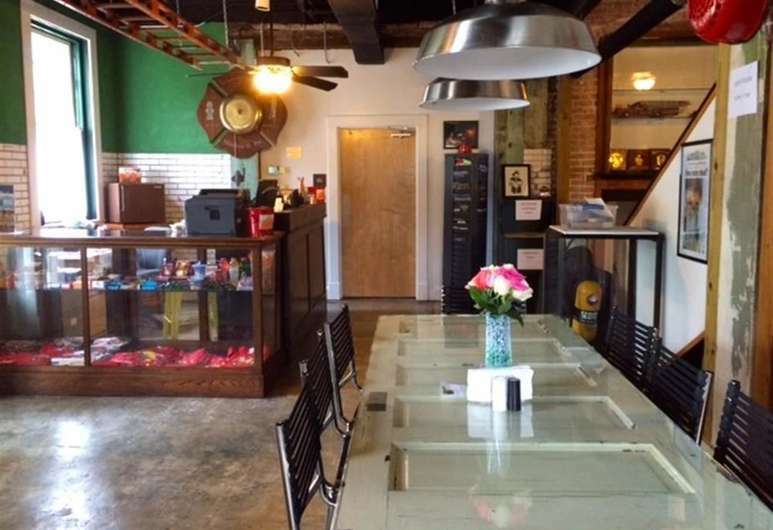 Update from Gabriella: "Last night we stayed at this cute hostel / museum in Little Rock, AR, on our way to our next stop. It's been too cold to camp out due to rain and snow. 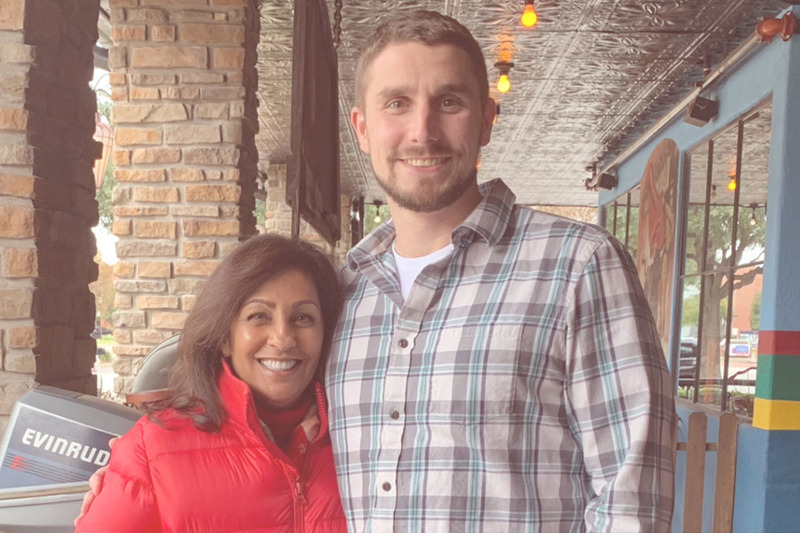 🌧️❄️ On a happy note, I cooked a pot of chili 🥣🍷 and shared a meal with my fellow travelers, Wendy, Katherine, Collin, Eric, who were sheltering from the awful weather outside." 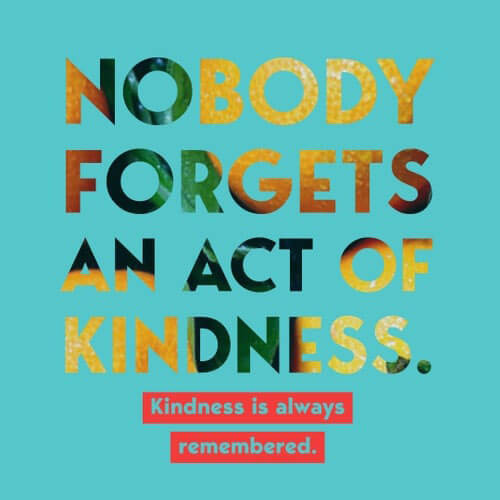 Happy #WorldKindnessDay! 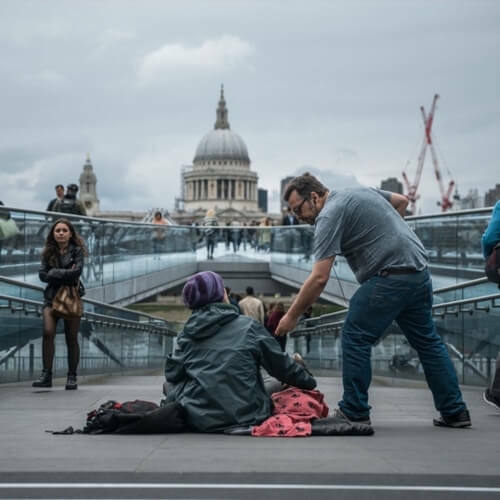 Get motivated to do more for others by listening to this short but powerful interview with Dare To Be Kind founder, Gabriella van Rij on New Zealand radio show, The Long Lunch! Do us a favor? Subscribe to this show so we can push more positive news into the news cycle! 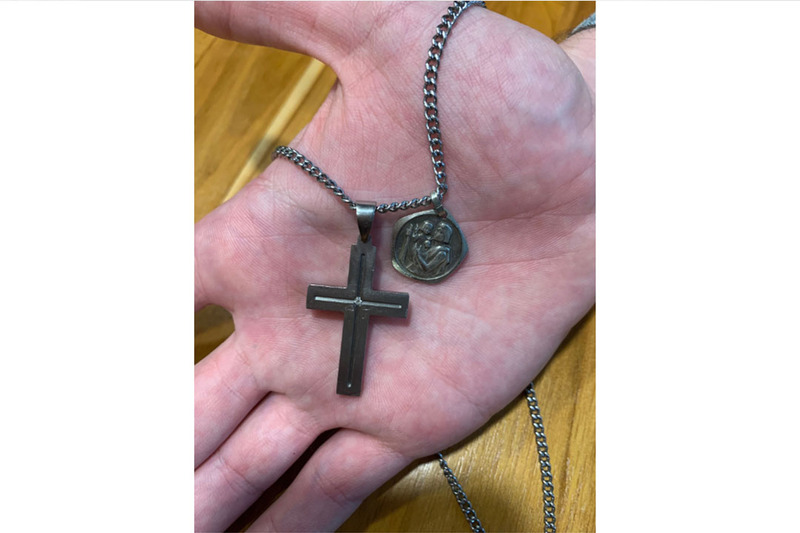 Update from Gabriella: "At The Good Shepherd’s home in Albuquerque. 🏡 We will be interviewing Brother Shaun tomorrow, so stay tuned! We also went to the Boys and Girls club and will be speaking with their managers tomorrow. So much excitement on the horizon! 🌟 By the way, this was the first time I walked into an admin office where everyone was laughing and smiling! Such great energy here. 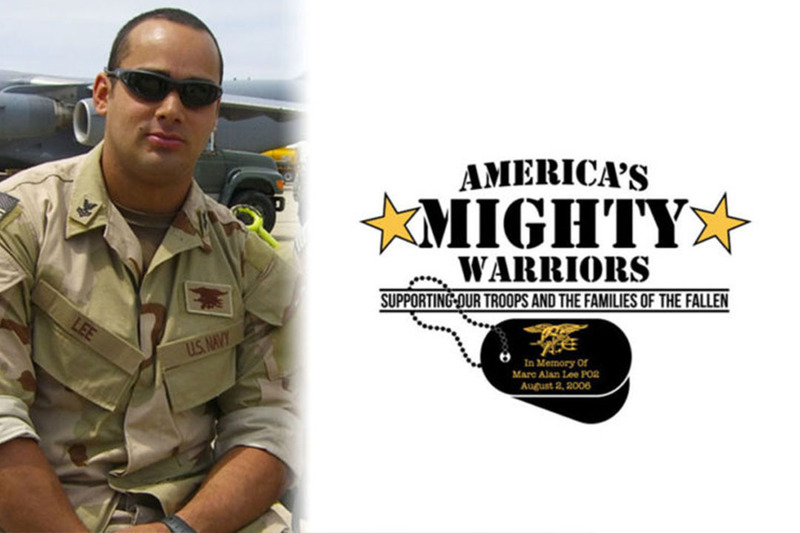 😍😎"
Update from Gabriella: "Today we met with Debbie Lee @americasmightywarriors_ who founded americasmightywarriors.org in honor of her veteran son. What an amazing work that Debbie does! 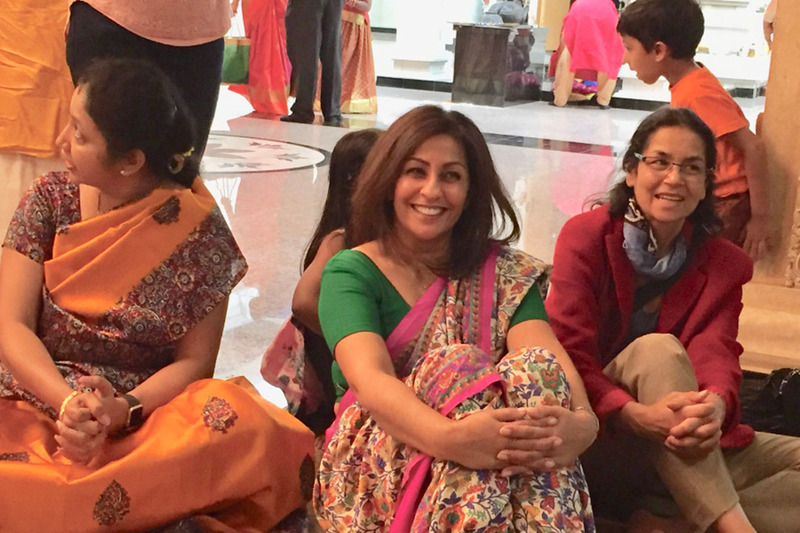 So happy to meet a kindred spirit, with a truly important mission and beautiful vision. In the beautiful words of Marc A. Lee (KIA Aug 2, 2006), "Pass on the kindness, the love, the precious gift of human life." Something we should all strive to live up to. A beautiful interview with her will be posted to our site soon. Don't miss it! #americasmightywarriors @americasmightywarriors"
Update from Gabriella: "We woke up to beautiful desert 🌵 cactus everywhere. Tent is closed; beds are made. Coffee has been made in a French coffee press. We are slightly organized. Today we have a meeting in Phoenix for a Veterans organization! Our acts of Kindness have started." 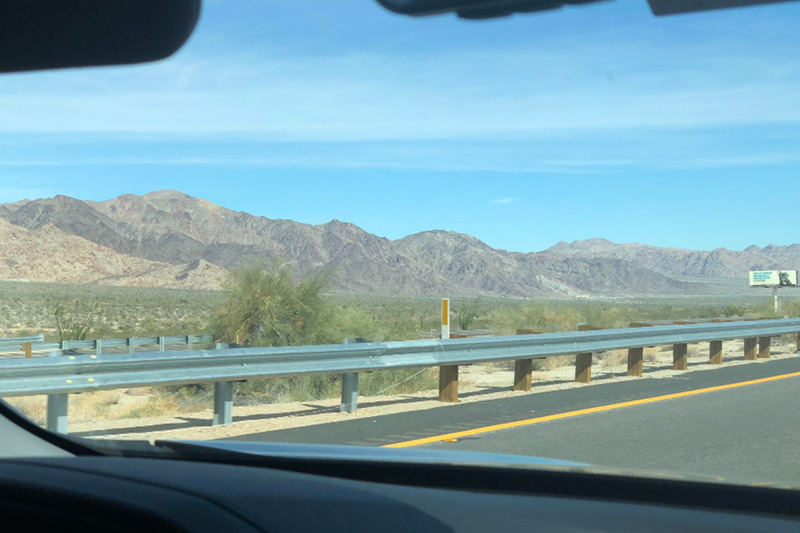 Update from Gabriella: "On the road 🛣️, heading toward Whitetank Mountain Regional Park, outside of Phoenix. Happy to report that the first night in the camper was uneventful! 😅 We were exhausted, so we went straight to sleep--no tossing or turning. And look who we met! 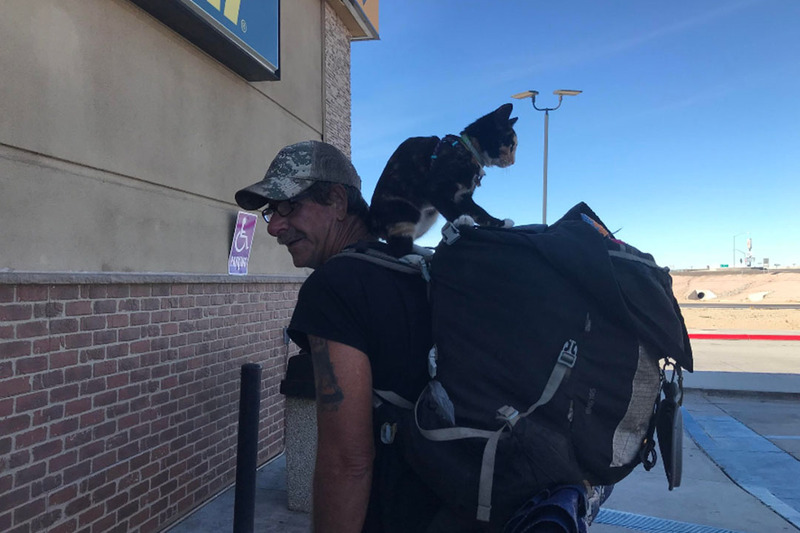 We thought we were minimalist, but check out this guy who makes do with just one backpack and his cat! 🐈 P.S. : We did find that we need a little more light at night 🌌 around the car--we'll work on that tomorrow." It's beginning! 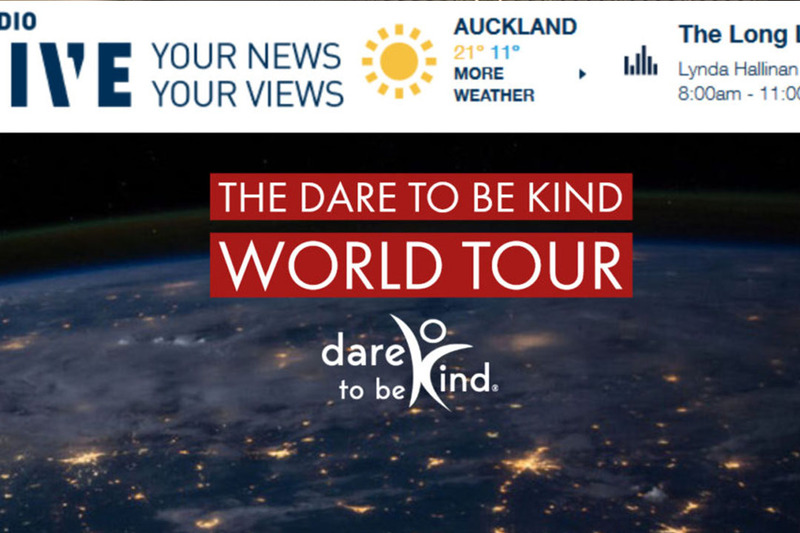 The Dare To Be Kind world tour is launching in under 24 hours! 🏕️ Most people buy a tent to fit **IN** the car but founder, Gabriella needs a car to fit the size of her iCamper tent! 🤔🚘 Direction: Arizona. 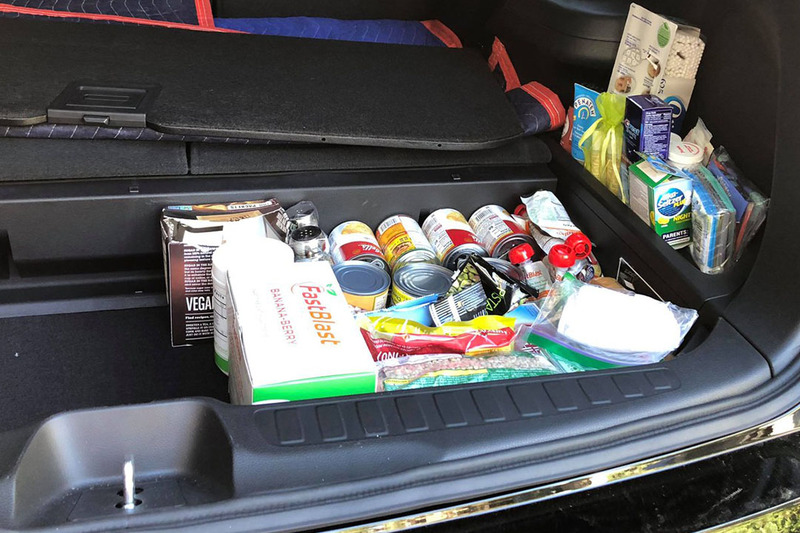 Secret compartment filled with groceries on one side and cooking gear on the other. 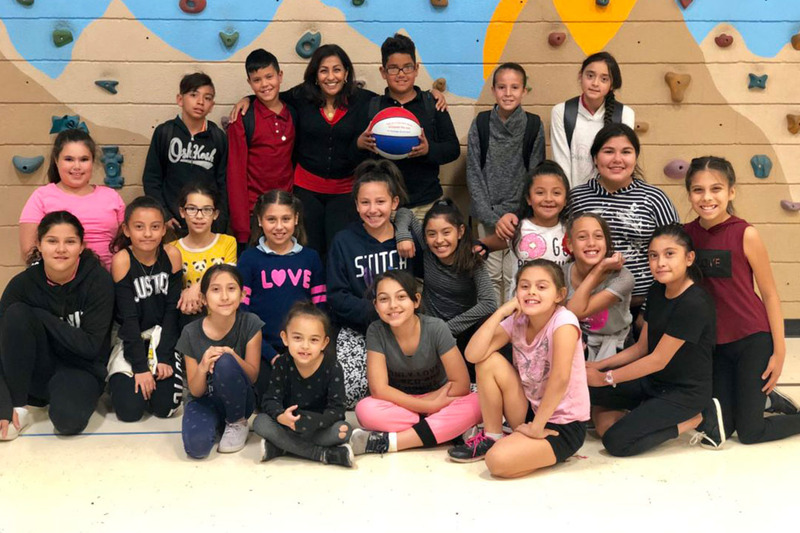 Update from Gabriella: "Yesterday was the last day celebrating the changing of the seasons, a 9-day event, and the last day was the most important. 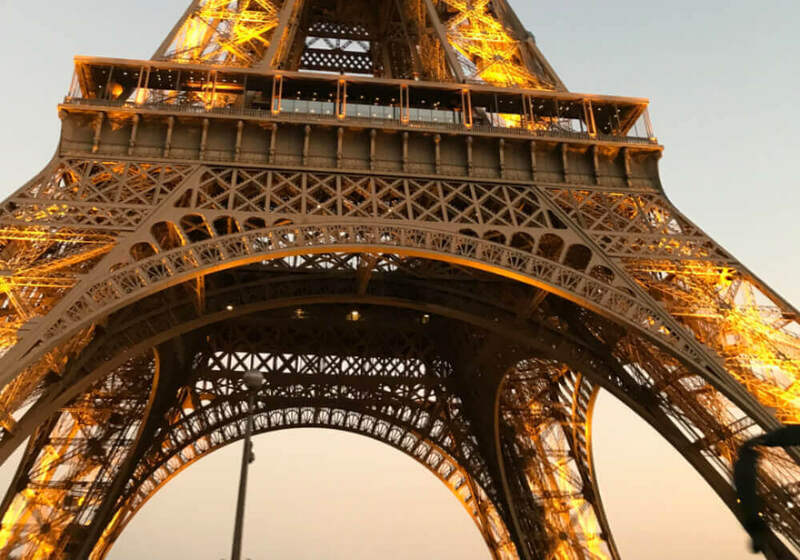 Incredible that I was there on the last day! Apparently, according to my friends, it means that my upcoming travels have the green light." 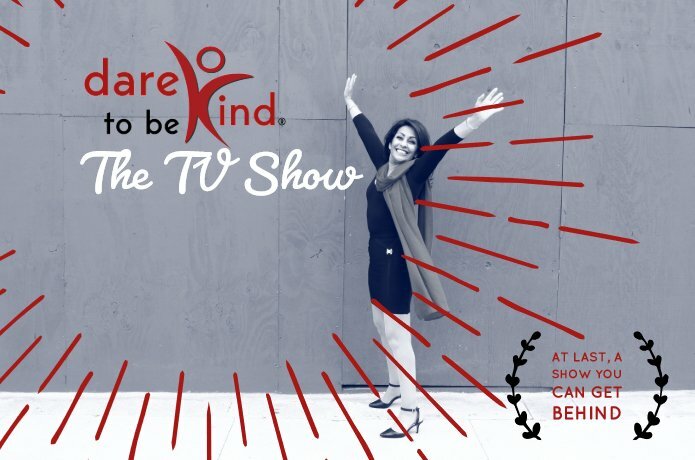 Watch the movement move as the founder, Gabriella van Rij, hits the road, captures your kindness stories, speaks at schools, communities, and corporations, and creates safer communities through 1 act of kindness wherever she goes. Go here to see Travel Map details, live updates, and more! 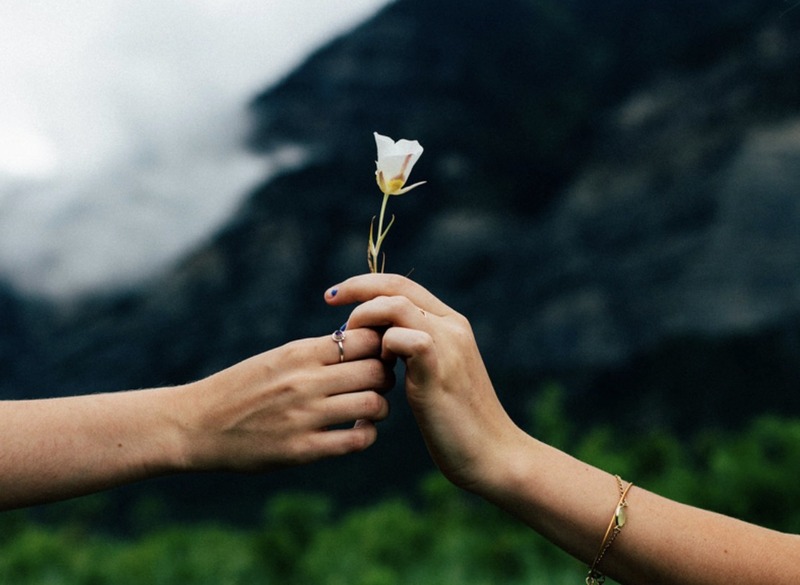 Kindness only grows more Kindness. We get a lot of inquiries asking how to help, and it’s really simple… no fees, no forms, no complicated steps. 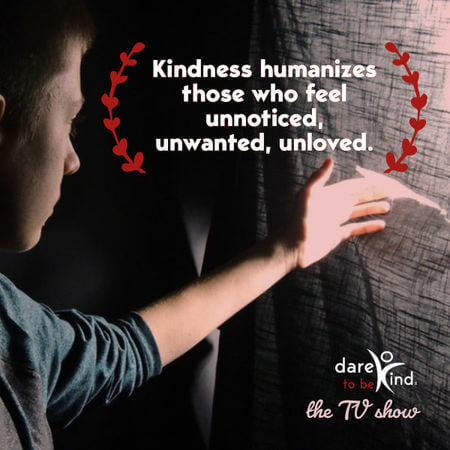 Share a story on the #DaretobeKind site. Share our posts on social media. 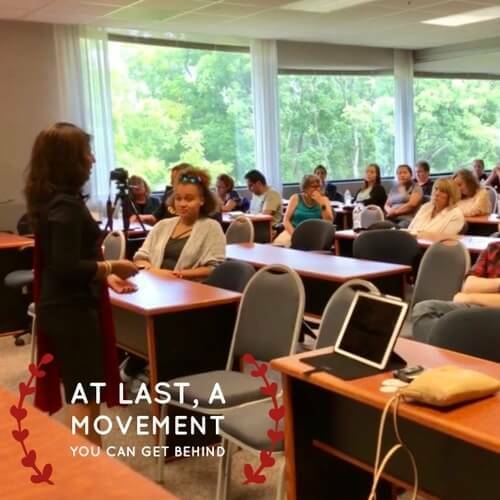 Grow the movement on Facebook, Twitter, YouTube, and Instagram. Send us people we can interview for our site or our TV show. 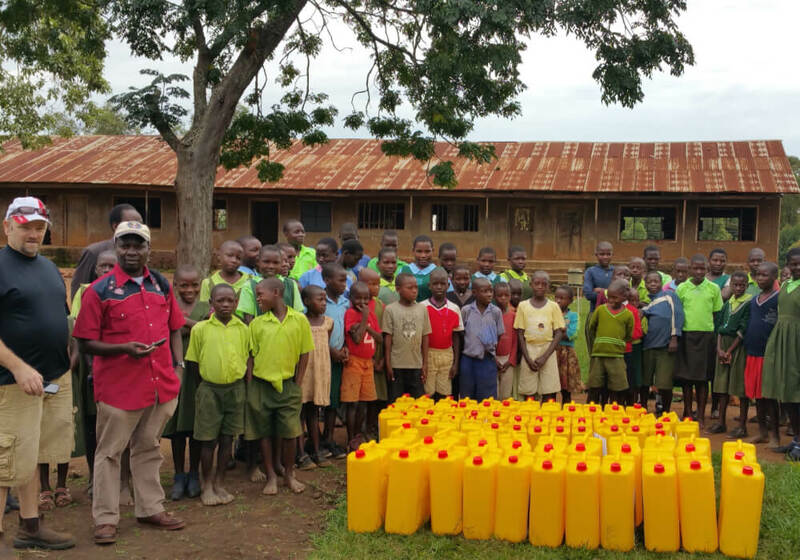 Give donations in whatever way you are able. Invite the D2BK founder to your next event! Every ugly, sad, or beautiful story reveals the footprints we leave on each other. Dare to BE the difference for another. Where is Gabriella? What's next for the #D2BK Movement? And more of your questions answered. 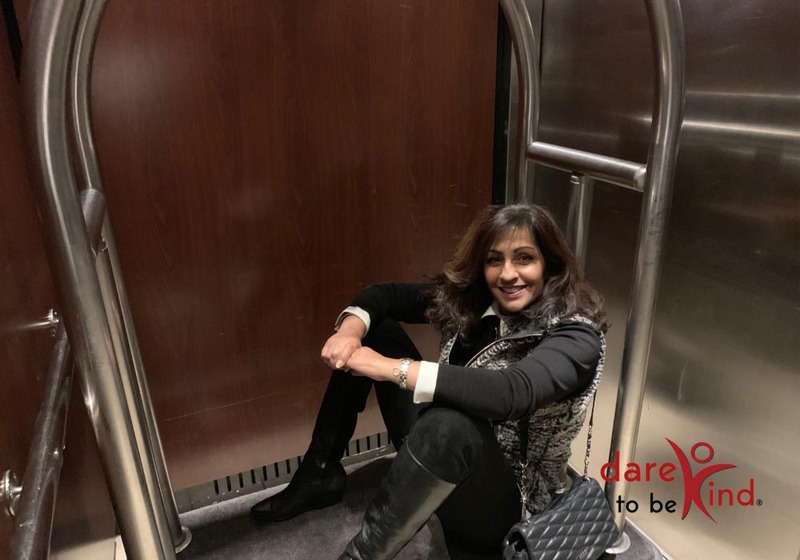 Latest news and happenings from Gabriella van Rij and the Dare To Be Kind Movement!